Our barn needs a full preservation will you help? We were awarded Heritage Barn Initiative Grant. The Washington Historical Trust administers these grants on behalf of The Washington Dept. of Archaeology and Historic Preservation. The grantee must match dollar for dollar. Gratefully in-kind donations of time, material and equipment count towards the matching dollars. We are going to ask local businesses to help sponsor the project, but we will still need help from you. We started The Smithshyre because we wanted our community to better understand where their food comes from. 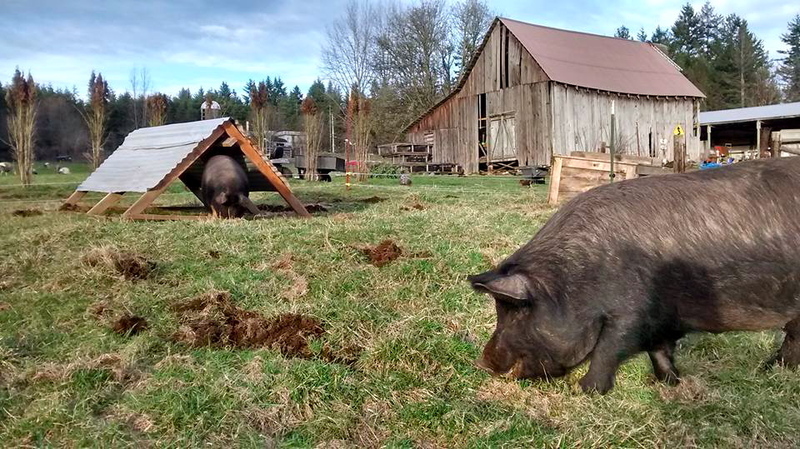 We consider oursleves "an actually organic homestead". We love sharing the homestead with others. The old Foss Farm came with a 1925 dairy barn. The barn had not been maintained for decades. We had it Heritage Registered in 2016 the 1st step in preservation. Those who contribute will be invited to a special event / community celebration next fall (2019) at a date to be determined. We will make it memorable, we promise. For history buffs, I have a blog post with lots of fun specifics about the barns history click this link to read more. We use the barn for livestock. 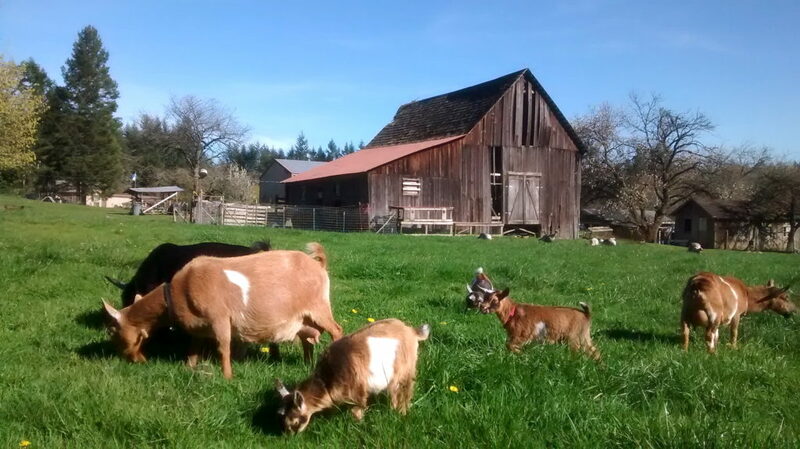 We keep our dairy goats in a re-roofed section of the barn. We also do our daily milking in the barn, in the rainy season this requires a pop up because the roof leaks. We hope to someday use the barn for community events. 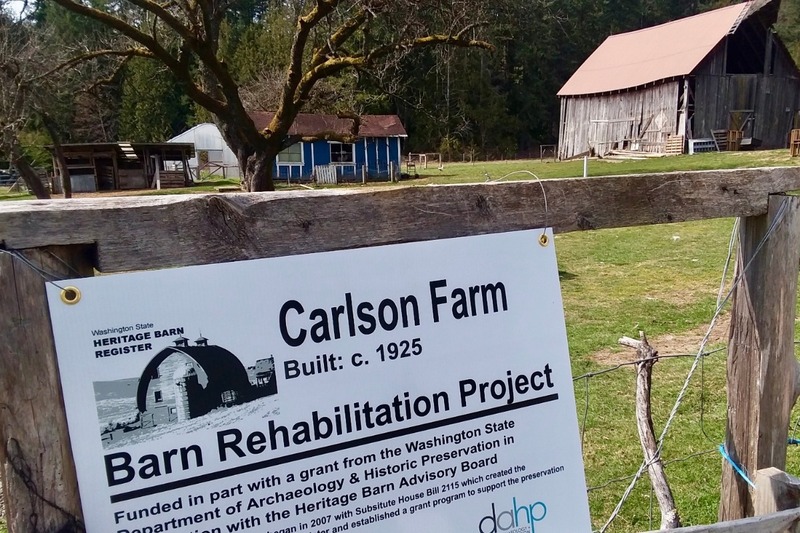 Please help us protect a bit of Kitsap's Heritage and help us continue to utilize the barn and share it with our community. This video shows the rain pouring in during a rain storm. We were awarded the Heritage Barn Initiative Grant, the contracts were signed in October. Recently we received and hung a sign which made it feel more official somehow. We will be starting prep. work in earnest in April. The the contractor arrives May 1. This preservation is going to happen! I am not sure it has really hit us yet. 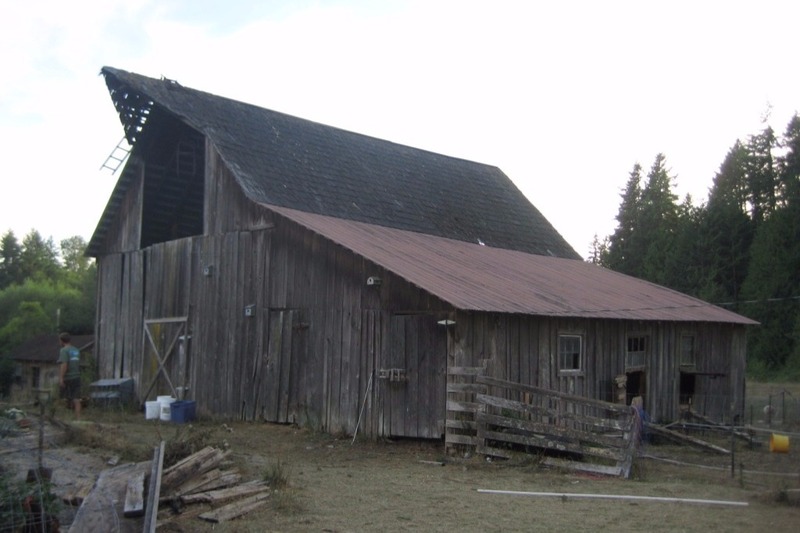 You see when we 1st bid on the old Foss Farm in Aug. 2013 I knew fixing up the old barn would be our burden. I have always been drawn to old buildings farmsteads & barns. All that work and material gets put into a useful building, but then it is left to rot at some point. What is the story of that old structure? Who built it? Was it hard? Did they spent there last g to finish it? Why did it get abandoned? Thank you all we feel much love. We were awarded the Heritage Barn Grant. We do still need another $5,000 to match the grant with. Thank you for your support! 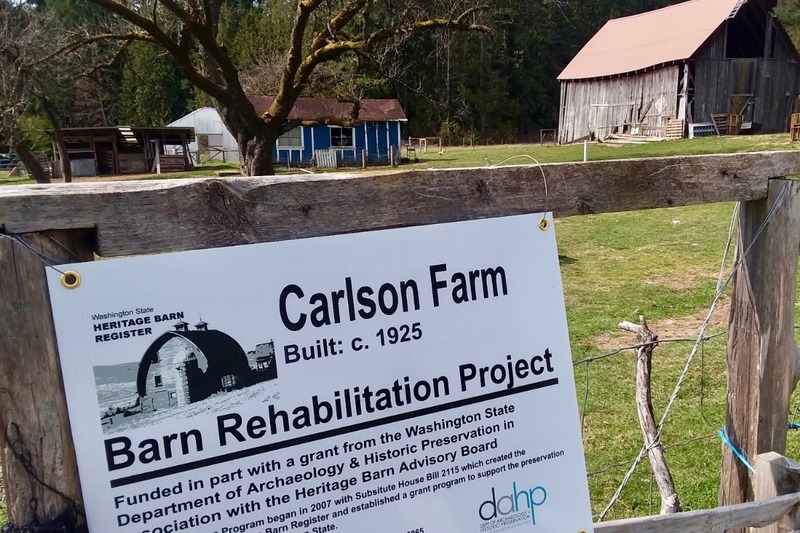 We were invited to apply for a grant, the Heritage Barn Initiative. These are highly competitive grants that require matching funds or in-kind donations. So lets have an event, lets create community & lets save an old barn. 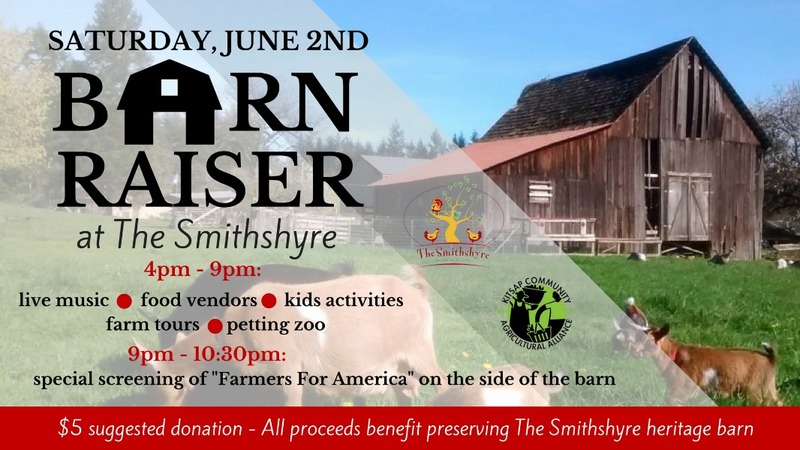 Join us June 2nd from 4 -10pm for our "Barn Raiser" fundraiser. The kind folks at the Kitsap Community Agricultural Alliance (KCAA) are co-sponsoring this great event. We will have live music, a petting zoo, kids activities, food vendors, silent auction, farm tours and a special screening of "Farmers for America"